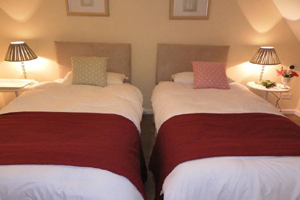 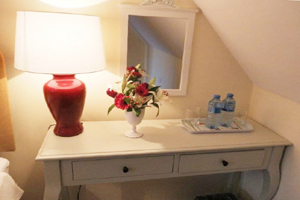 We have 6 guest bedrooms - 3 superkings/twins, 1 small double, 1 standard double, and 1 ground floor twin. 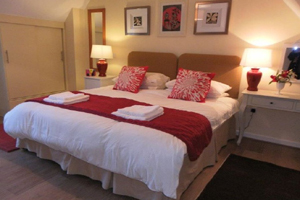 All bedrooms have an en-suite shower room. 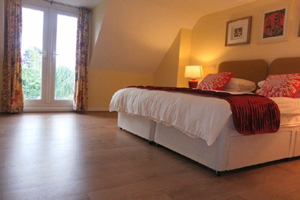 A spacious bedroom with built in wardrobes and a super king size bed. 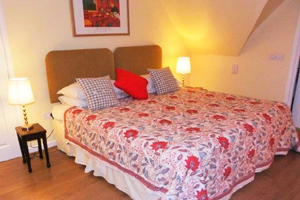 This room is decorated in classic creams with soft furnishings in shades of red, blues and creams creating a warm and cosy effect. 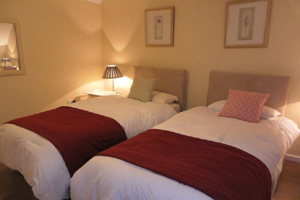 A twin bedroom with two single beds. 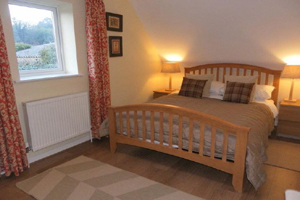 This room is decorated in classic creams with soft furnishings in pale green and pinks. 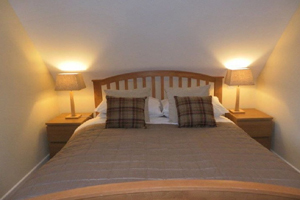 A beautiful double bedroom with a standard double bed. 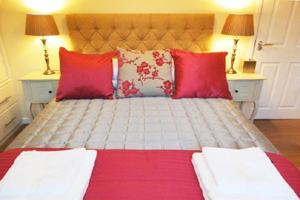 This room is a small double with compact ensuite, and decorated in classic cream with fuchsia, slate grey and gold soft furnishings. 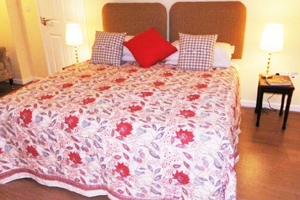 A spacious bedroom with a king size bed. 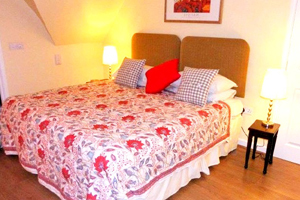 This room is decorated in classic cream with soft furnishings in rich terracotta, gold and pale blue. 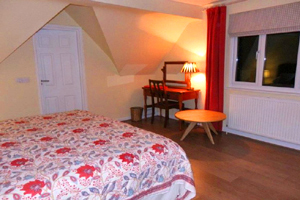 This room has a compact ensuite, and may not be suitable for taller guests. 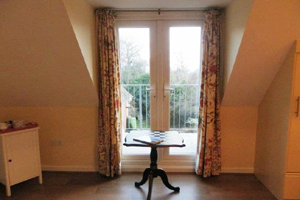 A light and spacious bedroom with French doors opening onto a decked balcony with seating overlooking the garden, a lovely place to sit and relax. 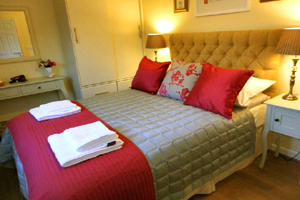 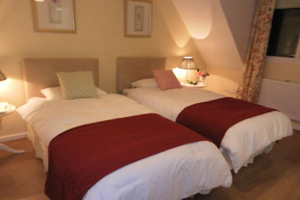 The room has a super king size bed and decorated in classic cream with soft furnishings in rich red and cream. 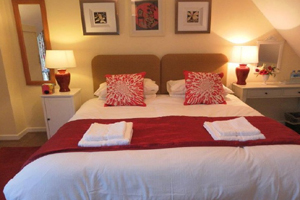 All our bedrooms are made up with crisp white cotton bed linen with fluffy towels.